The start of a new year is the best time to assess the important role of the manufacturing industry in economic growth and to take stock of the industry as we’ve say goodbye to 2016. The manufacturing sector helps other industries and businesses to succeed. In fact, the production aspect is the stem of all businesses, which means they would not even exist, let alone succeed, without the manufacturing industry. As for economic growth and prosperity, the manufacturing sector is key to it. When the productivity of manufacturers increases, the national economy tends to grow and strengthen. Also vital is the number of jobs that the manufacturing industry creates. Here in Canada, the manufacturing sector accounted for slightly more than 1,700 jobs each year between 2011 and 2015. Losing these manufacturing jobs would be detrimental to the national economy and, in turn, affect global trading partners. The Canadian manufacturing industry had highs and lows in 2016, with a notable moment when the government celebrated its new trade deal with the EU. While President Trump campaigned against free trade (i.e. NAFTA), Canada’s manufacturers as a whole had a more positive view of globalization. While there was modest growth in Canada’s manufacturing industry in 2016, at least in provinces such as Manitoba, more than half of manufacturers (55 percent) are making growth their top strategic focus in 2017. An identical percentage of them are looking to enter new geographic markets in the New Year, while 66 percent plan to pursue more market share within existing geographic markets. The bottom line is that manufacturing matters. At Meteor Foundry, we are proud to contribute to this smart and sustainable sector by delivering excellent aluminum and zinc, sand and gravity permanent mold castings. We serve a range of markets, including mining, aircraft, highways, defense, electric and gas, and robotics. The New Year offers an exciting opportunity to continue providing quality processes and products, as well as great customer service, while simultaneously encouraging the economy. Contact us today or follow our blog, Twitter, and LinkedIn updates to hear more about or products, or for continuous industry and company updates. Foundries are no longer simple operations that produce castings. Many units are responsible for working with a large variety of alloys taking on the responsibility of designing the parts, making the castings, machining them and assembling them for a robust final product that assembly lines can use right away. Meteor Foundry is a shining example of this enhanced capacity and capability of foundries. ISO 9001:2008 certified it has been a leader specializing in Aluminum, sand, Zinc and permanent mold castings and pattern making tools since 1965. In 2016 Meteor Foundry renewed its commitment to quality and the rewarding ties that it has with clients from Mining Ventilation, Robotics, Transportation, Electricity & Gas, Furniture, Trucks, and Defense. We added a layer to company persona by emerging as a business that is genuinely interested in auditing our energy consumption patterns and initiating projects that utilize conservation principles to cut down on the use of fossil fuels. Today, we have successfully completed the second phase of its energy reduction drive and taken to heart the mantra of reduce-reuse-recycle. 2017 is all set to be the year in which Meteor Foundry reaches the goal of significantly bringing down our own carbon footprint and setting precedents to curb the prodigious consumption of energy by the businesses in this sector. Foundries are generally concerned about energy consumption because this aspect heavily influences the costs associated with operations. 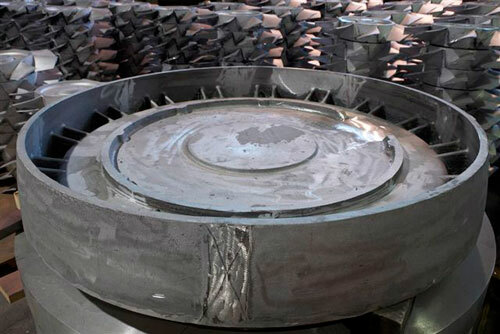 It is estimated that Canadian foundries use up to 6300 TJ of energy every year. And they are a challenge to the Canadian government which is trying to become the vanguard of energy conservation and renewable energy production. This is why Meteor Foundry is taking major steps in the direction of strategic energy utilization. We have already updated our ISO 9001:2008 certificate so that we can stay abreast of the latest and most effective ways to streamline floor functions and pull the reins on electricity misuse. We are excited to not only invest in core products, and value added service competencies, but eager to spread the message of conservation far and wide because excellence in manufacturing is possible without over exploiting energy reserves. If you are interested in learning more about how Foundry techniques are changing and how Meteor is handling energy consumption across the board, please follow us on Twitter and LinkedIn. As 2016 was a big year for all companies across the manufacturing industry, we’d like to look back over the past year and touch on some of the important highlights with 2017 in sight. This past year we made major investments in new equipment and technologies to add to our already impressive list of manufacturing tools. Bringing the Laempe LL20 automatic sand core shooter onto our line shortened lead times and improved quality and casting processing. It also makes our working environment safer for our employees, a procedure that is continually in the forefront of our operations. As a leading manufacturer of components that are vital to the mining industry, the Meteor team also attended Minex 2016. This show is dedicated to the mining industry and the ever changing world of metals, minerals, and energy. Ventilation systems and the energy required to run equipment rely on solid, dependable components. At Minex we connected with business involved in the industry, such as Caterpillar, and will see additional business opportunities in the year to come. In the upcoming year, keep an eye out for our January blog where we will be informing you of our latest technologies and all that we took away from Minex this past September. 2017 will help us expand our services to the mining industry as well as trucking and transportation, electric and gas, and military and defense industries. 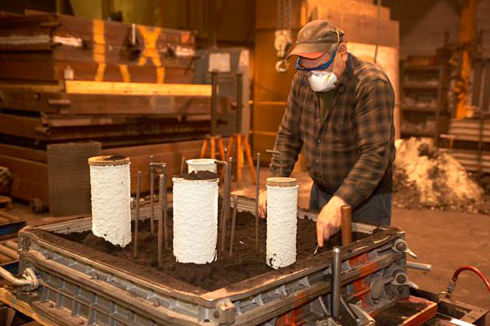 Here at Meteor our custom castings have been a part of manufacturing and industry for over 50 years. We are leaders in the trade, proven by our continued growth. 2016 was another outstanding year for us–from working with new and existing customers to expanding our presence through trade shows and industry events. 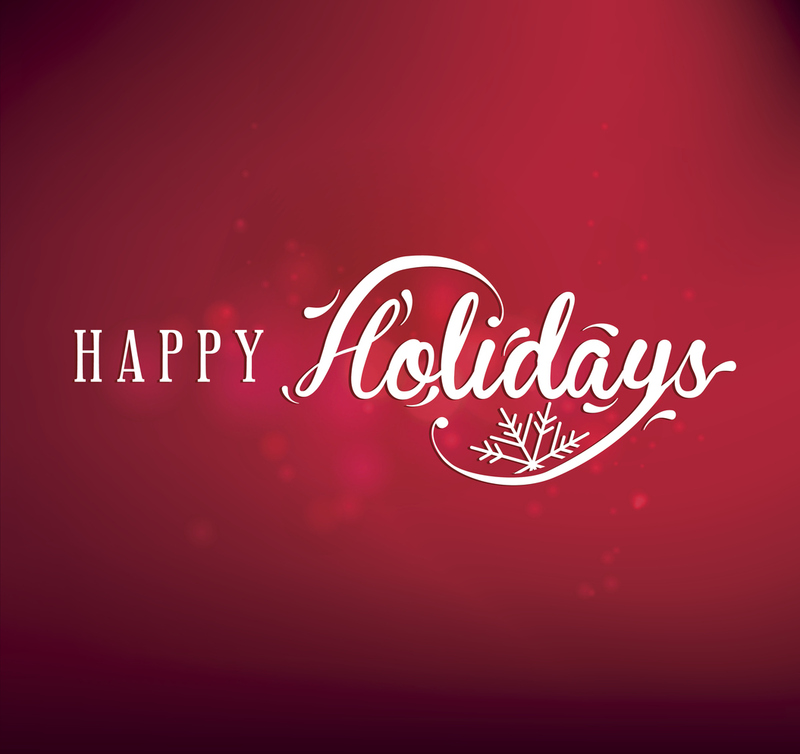 Thank you for your business and we wish all of you a very Happy Holiday and Healthy New Year! For further information on Meteor Foundry and industry updates follow us on Twitter and LinkedIn! When you work with clients from over 32 industries – you are doing something right. Serving sectors as diverse as mining, cement flooring machinery, elevators and defense, Meteor Foundry has upheld values of quality, dedication and custom parts created to client specifications for the past 50 years. Meteor Foundry has many accomplishments to our name, with company profitability and customer base business increasing year after year. 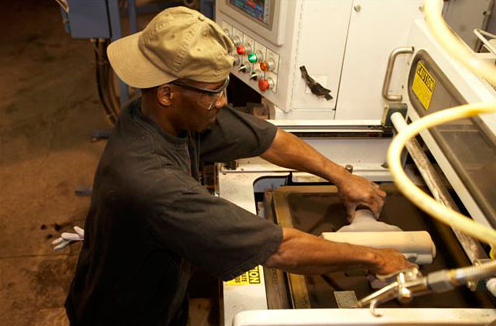 The main reason for this sustainable growth comes from the guiding principle of “Adding Value to Manufacturing.” There are many casting, and machining providers in the marketplace, but Meteor Foundry Co. goes beyond offering generic solutions and instead dives deep into the problem areas of manufacturing making the production of large & small complex parts possible. Why is Meteor Foundry Different? We take pride in excelling where others falter. At Meteor, we are capable of working with specifications and raw materials that are challenging, to say the least. Meteor Foundry has furnace capability to make castings up to 4000 pounds. 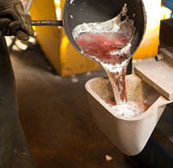 The Foundry uses only certified ALUM OR ZINC ingots in our process and by so doing are able to strictly control the required material elements called for to produce a quality casting. The current max Molding Box size used that can be turned over is 108”x108” requiring custom equipment to handle and fill with molten metal. After analysis of the client’s requirements, Meteor is fully qualified and capable of taking on the most mammoth of casting ventures. At the other end of the spectrum, technically demanding castings smaller and lighter in weight are handled with confidence. Meteor can complete all of the required check boxes, mid to high volume, price competitive, consistent quality and shorter lead time. 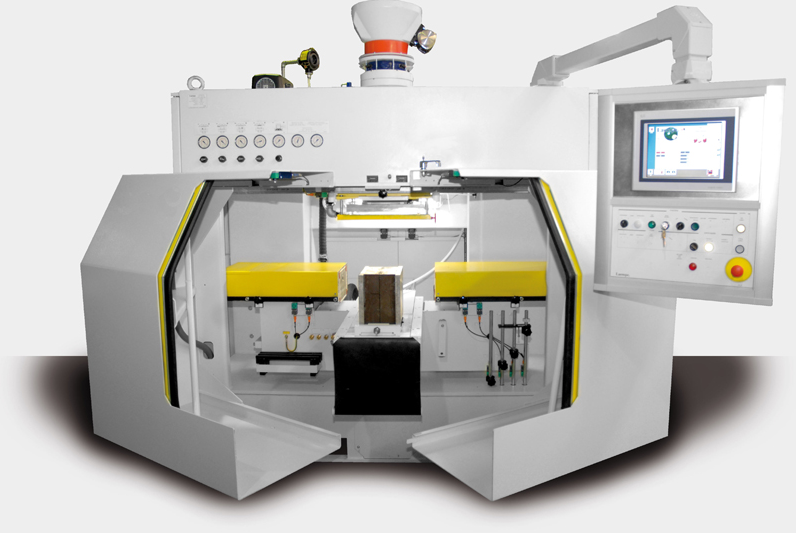 Meteor’s Robert Sinto automatic molding machine fits the bill. Shortly to be complimented by the addition of a Robotic final process finishing cell planned for 2017. In line with Meteors business model to invest in new technologies and equipment, our viability is enhanced for decades to come. If you would like to experience how Meteor can positively impact your business, call 905 670 2890 today. On the first Friday of October each year, hundreds of manufacturing firms across the globe celebrate National Manufacturing Day. This October 7th is a day dedicated to bringing more awareness to the industry and inspiring future generations to better understand manufacturing as a whole. To date, over 1,600 events are scheduled to help both citizens and students in science, technology, engineering, and mathematics (STEM) programs understand the importance of manufacturing and the role it plays in their world. National Manufacturing Day is also about showcasing the many skilled labor careers that are available in an industry that continues to grow. The day also helps manufacturers to be a collective voice in bringing common issues and challenges of their industry to light. Manufacturing is vital to any economy, and bringing more awareness to the industry is crucial for many people and communities. Manufacturing Day gives companies the opportunity to open their doors and let people see just what they do, potentially changing people’s perceptions of what exactly manufacturing really is. The day is co-produced by Fabricators & Manufacturers Association, International®, the National Association of Manufacturers, the Manufacturing Extension Partnership (MEP), and the Manufacturing Institute. A goal of National Manufacturing Day is to help local communities while supporting future generations to thrive. Since 1965, Meteor Foundry Co., has specialized in custom aluminum and zinc, sand and permanent mold castings, and pattern tool making. 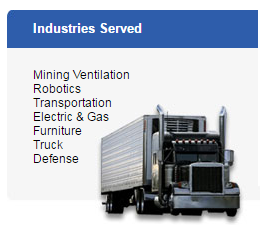 Our products serve a wide range of industries, such as mining ventilation, robotics, transportation, electric and gas, furniture, truck, aircraft, marine, defense, and more. Meteor Foundry has been doing business with companies such as Siemens, Husky, GE, Daimler-Chrysler, and others for years, enabling these companies to get quality products that are the same time after time. The professionals at Meteor Foundry look forward to supporting National Manufacturing Day and the many companies who are looking to increase awareness of the manufacturing industry. Here at Meteor Foundry, we have seen ups and downs over the half-century we have been in business, along with changing technology and customer demands. Many of today’s customers require that we push the boundaries of conventional practices by the use of new technologies and methods. Whether an existing mature product or new innovative item the criteria are often the same, how quickly can you provide a quality casting at a competitive price? At Meteor, we pride ourselves in meeting the needs of our customers, whether they have been with us for decades or are just starting out. Our technical team is capable of evaluating the needs of your casting project especially when at the new design stage in fact the more unique the greater the challenge and an opportunity to differentiate ourselves. Often, these projects have tight time constraints – maybe they are for a prototype project needed for proof of concept before moving forward, or sample products needed for a critical time line Trade Show. Many times, projects are also highly sensitive, and the expectations are extremely high that the casting will be provided and perform as needed. In order to accomplish this, good process planning, tool design and build are essential to the sale. Failure to meet the casting or dimensional expectations of our customer could cause costly delay in getting their products to market place. Our team is always mindful of our obligations to the client big or small, our aim is to meet their expectations by so doing establish a long term association. Serving a Variety of Industries. While these industries all have different demands, one thing they all have in common is that they demand a quality casting, on time, at the right price! Whether you are looking for a single prototype, low or high volume production parts, our team is ready to work with your needs and plans. Our sand molding, permanent molding, core making, heat treatment and machining facilities allow us to produce Alum or Zinc castings ranging in weight from ounce up to 4,000 pounds. A certified ISO 9001-2008 company we are able to provide you with a full range of none & destructive tests reports upon request, why not get in contact with our technical team here at Meteor Foundry and take your existing or new project to the next level? We are always looking for ways to move ahead and keep pace with advances in technology, in order to better serve our customers. This includes investment in those technologies that will provide the most benefit to our processes and contribute to the sustainability of our company. In the foundry industry we welcome the adaptation of new technologies, to support and improve the complex process of transforming liquid molten metal into solid engineered shapes with various degrees of complexity. Ever demanding customer requirements for quality, technically demanding products, with shorter lead times and reduced cost, the implementation of new technology is the only solution for us to compete in today’s global market. Our newest piece of equipment is going to greatly enhance our capability, the Laempe LL20 automatic sand core shooter. This technologically advanced machine has a high shooting volume in a unit that requires limited space. Fully integrated into a single unit, it is easier and safer for our employees to operate and allows for faster, more precise processing of sand cores through the use of adaptable existing tooling. 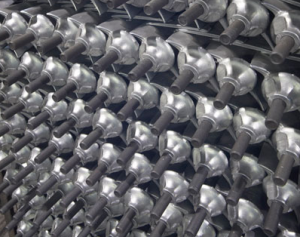 Installed at Meteor Foundry and operational in Q1 2016 we and our customers are realizing the benefits of shorter lead time, improved quality and casting processing in a safer and improved working environment. Change is embraced by the highly qualified Plant Manager Oleg Prikhoji and team of Foundry and Material Specialists supported by our President and Owner Marcus Wittich, ensuring a sustainable future and presence in our industry. Our highly diverse capabilities, allow us to provide custom with Zinc and Aluminum alloy castings with varying shapes and sizes. We invite you to get in touch with us through our contact page to find out more on our capability and scope of services that we provide. At Meteor Foundry, we welcome the opportunity in working with new customers to find the perfect solution to their casting needs, we look forward to working with you. It isn’t often that you can link a foundry and brewery together (besides the fact that after a hot day at the plant, a cold beer really hits the spot!). But, having just completed a brewery project, we have the perfect opportunity to share our recent experiences, and just in time for Oktoberfest! A brewery contacted us in needed of a thin-walled Alum casting for their bar pump handle. The project had to be completed in time for the launch of their new Micro Brewery and its great beer. Given limited time Meteor with the aid of 3-D rapid prototype printing produced Foundry suitable tooling. The final design was approved by the client and castings supplied in time for the important product launch. The success of this project in producing parts with a 2mm cross section is primarily due to the strict foundry sand controls in place at Meteor and their capability to cast challenging shapes. Utilizing sand casting allowed us to create specific details in the casting, in a very cost effective manner. The final product has a special pump handle with the brand name back highlighted on a Plexiglas shield. The customer was both surprised and impressed by how thin we were able to cast the handle profile and extremely pleased with the final product. This new pump is up and running to keep the kegs filled and the customers happy! 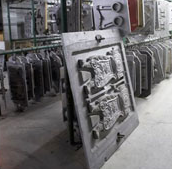 Our sand casting technologies offer competitively priced, predictable, and exceptionally finished pieces for all types of industrial requirements. If you would like more details regarding this project, or to discuss a future sand casting project, please give us a call or checkout our website: http://www.meteorfoundry.com/. At Meteor Foundry, we believe in continuously looking at our current capabilities and processes to find improvements. The landscape of the industry is changing and we are eager to embrace new technologies to continue moving ahead to offer the best products in the industry. With the installation of our new Laempe sand core production molding machine we will boost our efficiency in producing extremely high-quality complex cores. The addition of this new machine will allow us to boost core making production to keep up with the capacity of the highly automated production molding machine. This new technology will enable us to offer shorter lead times, with greater flexibility in casting designs and tooling. With improved surface finish and tolerances, we will see improved efficiencies and reduced cost. Full installation will be completed in the early part of 2016, meanwhile Meteor Foundry continue to attract new business from clients who recognize our capabilities and the benefits of our investments in new improved manufacturing technologies. The professional management team at Meteor continue to strive toward introduction of additional automated technology. It is with confidence that we will be capable to face the many challenges presented to us by our clients.